Do you feel that some days you simply want to disappear and forget everything? On those days what I like to do is disconnect with a good book and enjoy a lot of sugar to high up my mood. I have to admit that I try not to give any kind of candies to my little one, I think they are too sugary and not quite healthy, and I want to wait till my little one will be a little older to introduce him to the dark side, 5 or 6 years old at least! (Fingers crossed he will resist till then...) But, this doesn't mean I don't eat candies or don't buy them, I love candies, but my favourites are the sour ones. 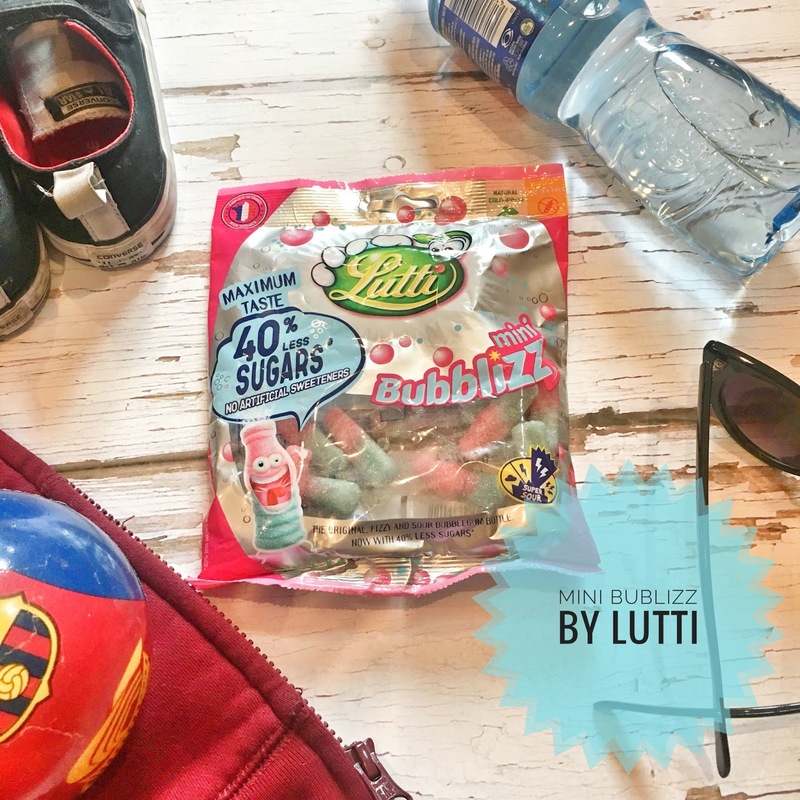 So, when at the Blogon UK the Mini Bubblizz by Lutti were included in my goodie bag, I couldn't resist to try them, I was alone and with my kindle, you can imagine I didn't left many on the bag...! Lutti is a French brand that try to make their products for everyone, no matter what type of allergies or intolerance you have you can eat their products! The Mini Bubblizz are Gluten Free, using Natural Colourings and no artificial sweeteners. But what I liked most about the Mini Bubblizz is that they have 40% less of sugar from their original recipe and they are super sour, really, if you taste them you will not be able to stop! Really if you don't believe me, take a closer look at the Mini Bubblizz, how many of them would you leave on the dish? None, am I right?